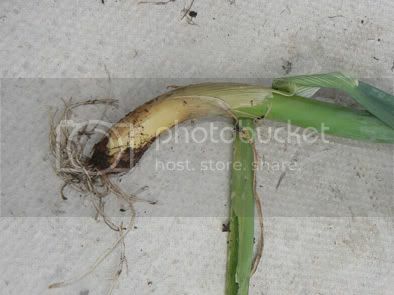 I grew some onions from bulbs at the begining of the summer, most grew quite nicely considering I have never grown anything before, However right inbetween my onions was this strange plant. it looked just like the onions, smelt the same, same colour but with just one big stalk. 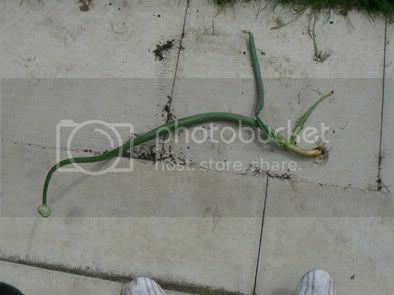 This eventually grew a huge seed head unlike my other onions so I decided to drag it up and have a look at it. Sure enough underneath was no onion just a thick root. i have lots of seeds from it however and I was wondering what it was before I save them. I have some pics if anyone has seen this before. thats freakin weird man! Looks like a onion all the way til the tip of it. It is probably a wild onion. They have those here in Tennessee. My yard is full of them. Some people around here call them wild garlic. They have an extremely strong flavor, the flavor of 1 wild onion is about equal to 10 home grown onions. 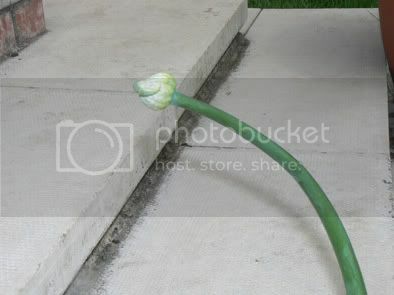 I have a few onion plants that look like that. 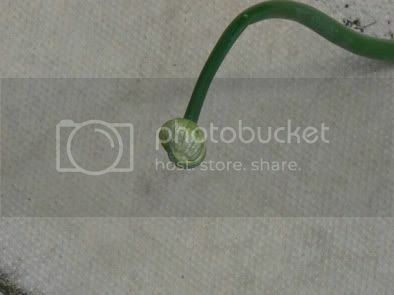 As an experiment I planted a few onions that sprouted roots while in my compost. The tops look like yours. I haven't pulled them yet so I don't know what the bottom looks like.